The floor of the forest was much colder than Jacob expected. He awoke with a shiver. He couldn't shake the feeling that he had some how gotten here magically. But why? Why had this happened? Embry was right next to him. "What has she done?" Jacob shook him. "She's alone with that..that vampire." He couldn't think of Tess being with her mother because by all accounts, that woman had never been a mother to Tess. "Better than being a toy poodle, I guess." Embry told him. They really weren't all that far from home. He got up then. Jacob did to. He felt a little dizzy. "We're not under her spell." Jacob supposed that had to be good for something, but he wanted to go back. There wasn't a chance he'd stay with the pack now. Was there? He couldn't just forget about Tess. Jacob winced hard. He could feel it coming over him. He was sure of it Tess would become a vampire, wouldn't she? "You under-estimate her, you know that." Embry quickly informed him as they walked through the crisp autumn morning back down the trail close to Sam's place. "What? You're reading my thoughts now?" Jacob felt he was the only one without any power now and he was the one who got bit by a vampire. "Its easy to see what's on your mind, Jake." Embry looked back at him with a grin. "So you're saying you're never even had real feelings for Tess?" Jacob wanted to know now. At least he wasn't half dressed. Someone had made sure he was ready for the elements. He even had his favorite soft plaid shirt over his gray fit tank. It smelled of lavender. He dreamed of Tess, suddenly. He so wanted to go back, but she'd sent him away. Away from her. "I wouldn't say that, exactly." 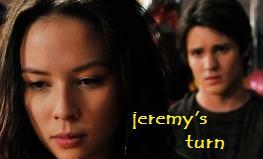 Embry pushed his hands in his jean's pocket. "I do think I love her." "Just think?" Jacob looked at him as if he were still a lost cause to him. For all he knew maybe the vampire still had him under her control. What was the world coming too? How were they ever to rid their region of vampires if they wormed their way in, one by one? "I don't think I should trust you." Of course, Jacob wasn't sure what he could do to Embry exactly. Hopefully, the sweat lodge would take care of Embry. But then again, Jacob had to wonder what Sam might do to him to cleanse any bad vibe out of him. "Are you trying to kill me?" Jacob didn't want the tea. "No, of course not." Tess couldn't believe he said that. "I'd never want to hurt you." "You just didn't compel me to..to come here." His teeth began to chatter. "God, no!" She winced then.He was making her so angry, but she looked at the closet. It was all too quiet now. Could her mother possibly slip out like a vapor and reappear to attack them? She wanted to be wrong about that. "CAN'T YOU SEE I'M TRYING TO HELP YOU!" She glared at Jacob then. "Why did you leave me, to begin with. If you would have just stayed put like you were suppose to, none of this would have happened." He was shaking now. She knew he was ill.
"Sorry. Its just, I-I was pretty sure you didn't really care about me. I guess. What about Bella?" Tess gave him a harsh stare. "What about her? Is she here? No, she's long gone, Tess." He drew in a breath. Tess was afraid it might be his last. "Drink the tea." She knew exactly what she had to do. Didn't she? "Drink up." Tess brought the tea to his lips. She looked back at the closet. It frightened her what her mother could do, but then again a smile came to Tess. Maybe she could learn a thing or two from her. She guessed Jacob could be her first project. She willed him then to drink the tea. Jacob awoke in a sweat. Yet a sudden shiver over took him. He was so cold. Or was he hot? It was hard to tell. His vision blurred sightly. He blinked more, trying to grasp the reality of it. But the pain sank into his chest and limbs. Something was wrong. "What's happening to me?" He rose up on his elbows. "You're just fine." Tess brought him some tea. "How do you know that? How do you really know that?" He wondered how long he'd been out. Had it been just an hour or possibly weeks? He felt weak. As if something had taken all his strength. "You look fine." She gave him a serious look. Her eyes seemed more golden now than green. "Did your mother do something to you?" Jacob wanted to know as he set up to drink the strong tea. There had to be alcohol in this along with lemon and sugar. He couldn't get enough of it. "No." She seemed so certain, but he looked at her neck for scars. He would have known, wouldn't he? Jacob winced then. He felt he was losing all his senses. Something had changed, but he didn't know what. It was like an organism had gotten inside him and was slowly spreading. What if it got to his heart? What if he couldn't take it? "I'm-I'm scared." Jacob finally admitted as tears came to his eyes. "What if I'm not all right? What if I can't help you Tess. I-I might not be any good to you...or to anyone." He bitterly pressed his lips. Sadness swept over him. "Drink the tea. You are just fine. You are." Her stern glare was no comfort at all. Tess did the best she could to bandage up Jacob. She guessed Emery was fine. He was in a deep sleep on the floor of the basement. She couldn't help but feel a part of her life being sucked out of her, as well. Was it just her mother's aura being so mandatory or the fact, maybe she'd over did it with the power she had with in. It was weird, thinking she might be something more than ordinary now. She just looked at her hands wondering what else she could do. She wasn't exactly a witch or a genie. Wasn't like she could blink or imagine food to eat. Which would have really been nice about now because she was famished. She knew Jacob's nerves were a little shot too. She sensed he was scared. She knew it wasn't so much about dying but the threat that somehow he might have changed. If just a little bit. Tess knew he needed rest. So did she. So he took the couch and she sat back in the old fluffy chair and inst felt herself body absorb into the fabric. Or so it felt. Her eyes were full of sleep, and she could not keep herself awake a second longer because it felt like she'd been set into a voyage of some kind. Or was it just a void? She could see her mother more clearly now. There was a reasoning of it. Such vivid images of her mother's past. Places she'd been. People she knew. How her mother's life was so complicated. That perhaps it really wasn't her fault how things had came to be. How she would have never allowed such a curse to fall on Tess as a child. Tess was after all the daughter of a con artist who just so happened to be a gypsy too. 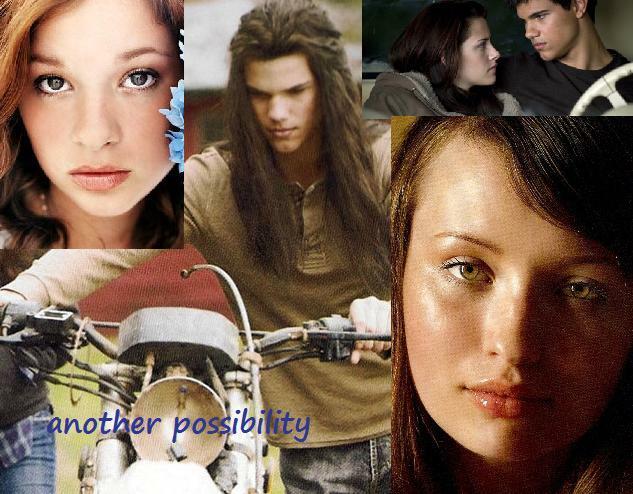 But even in a dream, Tess could hit a boiling point. "You hurt people!" It felt like a fight with in. Shoving her mother away who was an image not much older than herself. "You kill people!" They would never be alike. Never. Yet her mother's voice kept haunting her. Pleading with her that Tess needed her. She could not get through this life alone without her. She'd need guidance. She need her mother's knowledge, especially how to deal with the underworld. 'You really think you can control that boyfriend of yours? Honestly, you have no idea what you're up against." Her mother's words shook through her. Tess' eyes shot open. Her breath finally filled her with strength and energy. Tess looked over at Jacob, practically dead with sleep. She'd never imagined him as her boyfriend. Was that what he was?